Happy Friday!!! I take one to two weeks off from blogging, then turn around, and BOOM, it’s WINTER!!! Ok, it’s not officially winter, but the weather here in DC is saying otherwise! And I’m so not ready or here for it. However, I AM here for the fashion and layering. 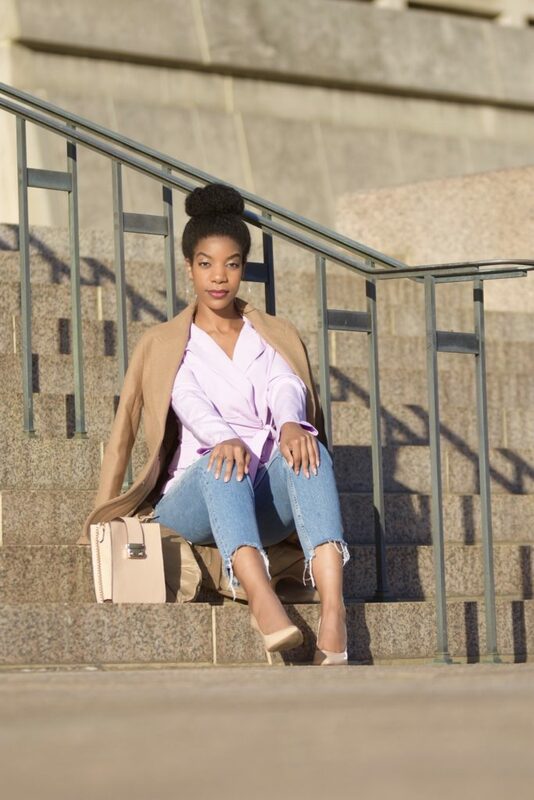 That being said, today on the blog, I’m showcasing this super cute purple blazer top from SheIn. *Sponsored post, but all opinions are my own. Contains affiliate links. Ok, so on the day that I shot this look, along with two other looks, I had no idea it was going to be so cold outside. 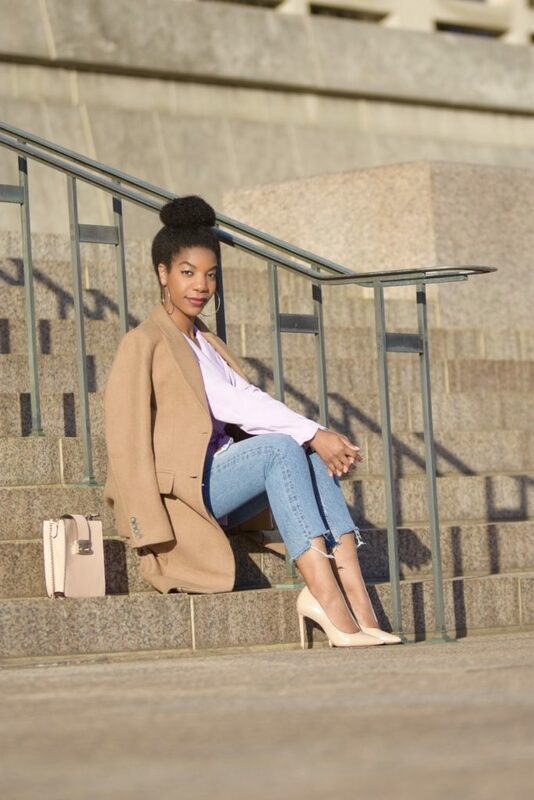 I was all prepared to casually place this new camel coat that I just got from H&M over the blazer for a layered look, but little did I know, the coat was actually needed for warmth and not just for decoration! On top of it being unexpectedly cold and windy, I was having some hair issues (which I will go into more detail about in my next post), so I wasn’t exactly in the photo shoot mood, but the show must go on! I just love the color of this blazer. It looks kind of pink in pictures, but it’s more of a pastel lavender in real life, and pastel colors remind me of warmer, better days. Can you tell I’m absolutely not a cold weather kind of woman? 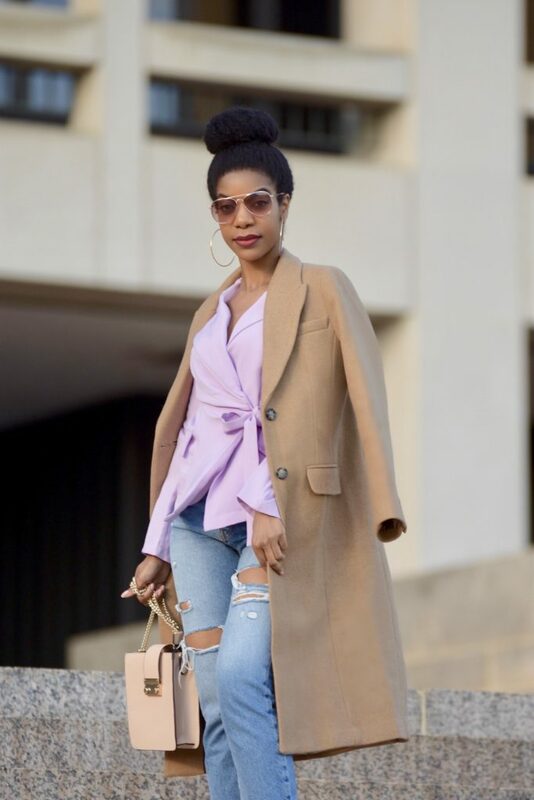 Anywho, I loved the style of the blazer, and the fact that the material is heavy enough for cooler weather, but also light enough to layer easily under coats. I felt that it fit a good amount looser than expected, so I tied the wrap in front as tight as possible. I would recommend you going one size down in this, unless you’re blessed with more up top. I am wearing a size XS. Thanks for reading! Are you looking forward to layering it up this fall/winter? Let me know below! I have never ordered from Shein. I am afraid the sizes won’t fit. But this combination you got here is FIRE. TOO CUTE. Now I’m going to definitely have to order from them. Love this look. You could rock it to the office or out for an after work date. Perfect. The coat is a classic and I love the color of the top. Love this fall/winter look. Such a classic stylish look that is timeless. I love the color and style of the top. The coat is a yes as well. Great choice! That coat is super cute! And you’re right it is really cold here in DC! I was going to say I need the blazer! I don’t have one that color, but I will take the whole outfit. You look great! The overall look is very fresh. I like the soft color of the lavender blouse. 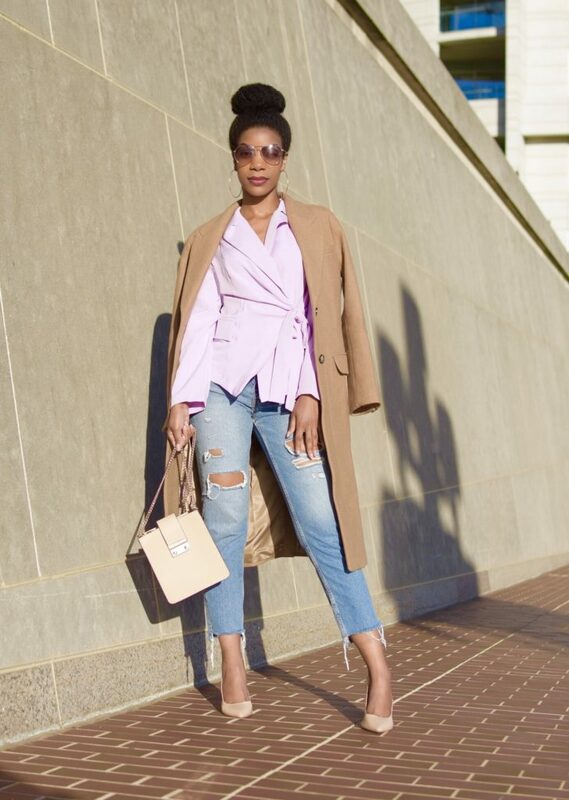 I love how took jeans and dressed them up with this wrap coat and blazer. It’s cozy yet fashionable. I loveeeeee this look! Perfect for the season. Now THIS is Look I could sport. I love the classic touches. That blazer is on point. I need more blazers for the fall. You delayed blazer season all fall sis! 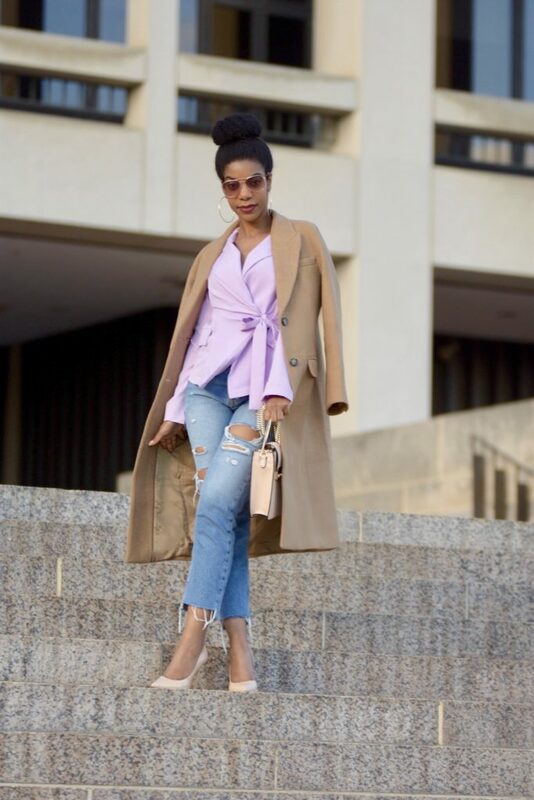 You really have me on SheIn all the time! !